A Golden Wish is a way for dog lovers to make an impactful difference in the lives of golden retrievers everywhere. Founded and created by Faye Silverman, A Golden Wish began as a custom designed apparel line with a fabulous logo and the idea of simply honoring the loss of her first golden retriever, Joey. With the passing of her second golden retriever, Nicky, to cancer, A Golden Wish became more than a dream to honor love lost. Faye Silverman decided to partner with the Morris Animal Foundation in order to make a difference in the quality of life for our four-legged children. “In May, 2015, my beloved Golden Retriever, Joey (a.k.a Papa), was diagnosed with an inoperable hemangiosarcoma of the heart. He passed away in July, 2015. With his passing, I lost one of my best friends. On the heels of losing Joey, one of my other dogs, Nicky, was diagnosed with Lymphoma in March, 2017, and then passed suddenly in September, 2017 also of a hemangiosarcoma. The thought of losing another pet to cancer was more than I could bare. After learning more about other families struggling with the same situations, I decided to do something to help aid in the research,” says Faye Silverman. Through A Golden Wish, I hope to be able to make a difference by donating 10% of all merchandise purchased to assist in the ongoing research of cancer in our dogs. 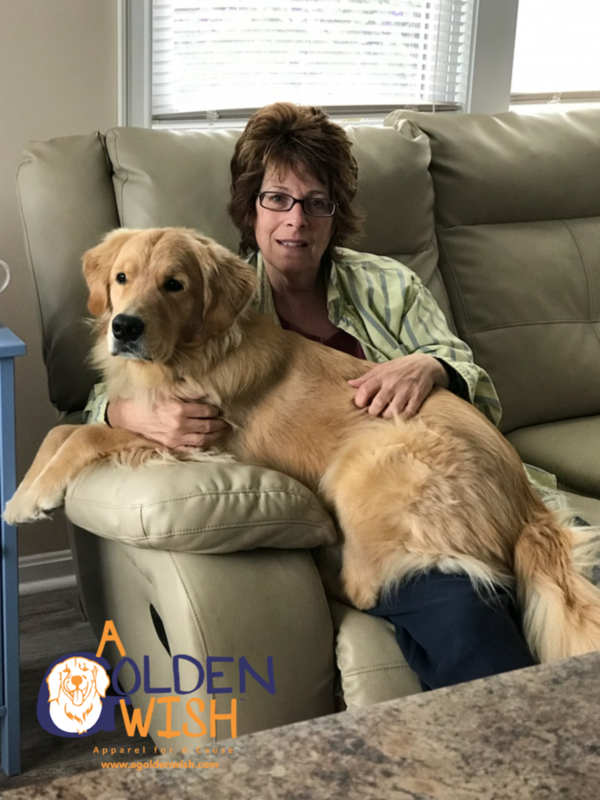 A Golden Wish has partnered with the Morris Animal Foundation in support of their ground-breaking Golden Retriever Canine Lifetime study.